A woman who appreciates the finer tastes of whiskey. Best part about my whiskey adventure is the people I meet along the way. Today, Whiskey is for women to enjoy! For my outlet on whiskey I owe a few special people a thank you. My father who introduced me to this spirit to calm my nerves after driving 14 hours with my very young children in the car. My family for all the stops I make along the way and out of my way to whiskey distilleries to try their new spirits. My wonderful boyfriend who takes all of my amazing pictures and is my sample partner. His smile and enthusiasm makes my experiences well worth it. A lady from Colorado has to have her favorite local distillery - Can you guess mine? 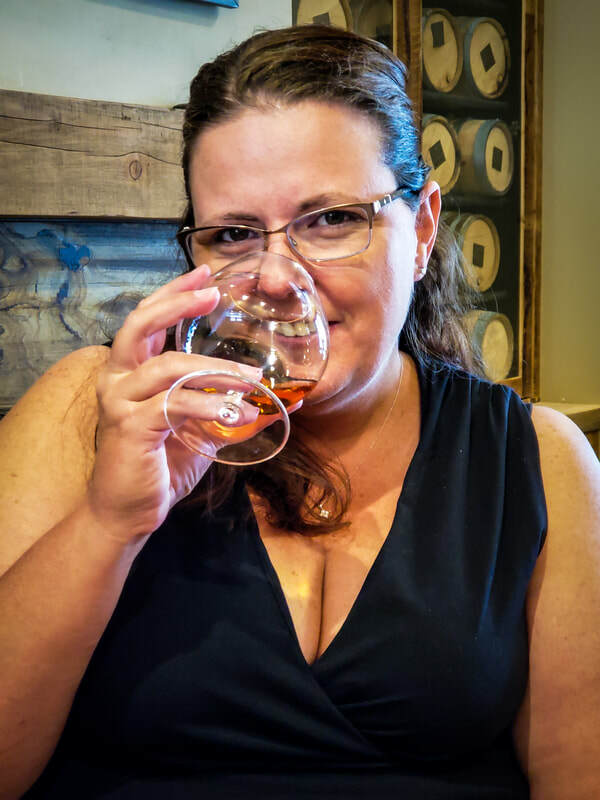 Why a whiskey website based off this woman's perspective? Answer is simple... I was told to get a hobby, which I was very happy to do, especially when it involves whiskey, which is something I truly enjoy! First Whiskey to ever hit my palate - Jack Daniels. Requiring a shot after performing Friends in Low Places in a karaoke contest to win tickets to a Rodeo. Helped calm my nerves after singing ~ thank you Bartender for the free shot! Best Stranahan's Memory... well there are quite a few... but the most embarrassing for my family is... me chasing down a customer who picked up a bottle, looked at it and put it back on the shelf. After having a great conversation with the customer and explaining everything I knew about Stranahan's... he included the bottle in his purchase. Took place in Applejacks Liquor Store. Note: I do not and never have worked for Stranahan's for the record!